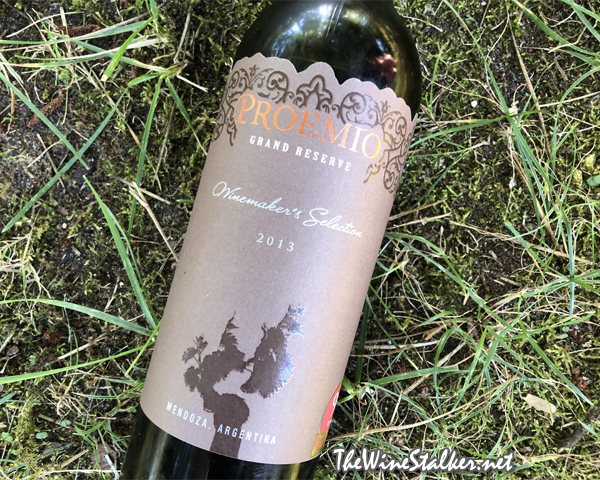 September is Proemio Month on TheWineStalker.net! Proemio – "Prologue" in old Medieval Spanish, stands for kick-start or first page. In 2001, Marcelo Bocardo, third generation winemaker and the descendant of a traditional Italian immigrant family founded Proemio with the goal of producing high quality wines that truly represent his ancestors’ passion for viticulture and a legacy for the generations to come. Marcelo Bocardo could be described as a new wave winemaker of Argentinian wines, avoiding over extraction and heavy use of oak, focusing on expression of the terroir (i.e. Uco Valley, Pedriel-Luján de Cuyo and Maipú). All of September is dedicated to Proemio! This is review #6 of 8, and you can read all of the reviews I've done so far by clicking here. The 2013 Grand Reserve Winemakers Selection is 50% Malbec, 40% Cabernet Sauvignon, 5% Syrah, and 5% Grenache from various vineyards: 10 year old vineyards in Russell – Maipú (at 2,624 ft asl), 30 year old vineyards in Paraje El Cepillo – Valle de Uco (at 4,265 feet asl) and 80-100 year old vineyards in Perdriel – Luján de Cuyo (at 3608 ft asl). 80 years old is what's listed on the label as the vine's age. Sustainably grown, manually harvested with cluster selection, fermented and macerated in concrete vats with indigenous yeasts, unfined, and aged in French oak for eighteen months. The ABV is 14.5% and it will cost you $27. So yeah. The spoiler is out: This wine is PHENOMENAL. It's brick red in color with a slight hue in the purple direction. Black olive is the very first thing that pops up for me on the nose, then there's plums, blueberries, toasty oak, chocolate, mint, and saffron. It seriously the kind of nose that makes you just tilt your head away as soon as you take a whiff and say "Oh. Oh here we go." On the palate it has a medium body, an acidity that is so perfectly balanced that you don't even know it's there (but it is because you'd notice a lack of acidity), and fine grained tannin that at this point is pretty chill. It finishes ultra long with plums, chocolate, and mint, and leaves a silky coating in your mouth literally forever. Wine Spectator gave this 90 points. Really, Wine Spectator? Just 90 points? How dare you. This is a goddamn god among its $27 peers! I give it FIVE OUT OF FIVE in price vs quality for Highly Recommended. Spectate THAT! HA! 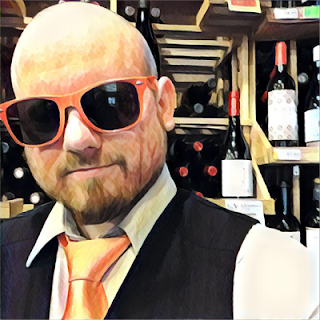 Wine Reviews: Best of Summer 2018!